(if the old signal wire (usually white) connected to the tacho with a male and female bullet connector, connect them to each other. When converting to an electronic ignition, add a new power feed from the ignition switch or fuse box. This will minimise interference generated by the coil. If you power the electronic ignition or tachometer from the terminal on the coil, unpredicatable results (usually bad) may occur. The Smiths RVI tachometer has either an internal or external pick up coil. The feed to the ignition coil (often a white wire) is looped around the pick up coil. 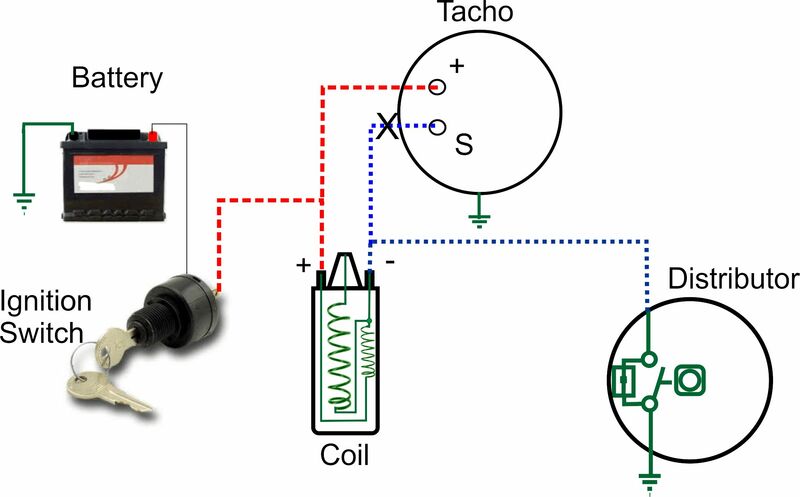 a current is induced in the tachometer pick-up coil. This current is filtered and processed and used to drive the moving coil movement. An RVC tachometer does not have the pick-up coil, rather its electronics are connected directly to the switched side of the coil. The tachometer senses the voltage increasing in the primary winding of the coil when the points close. When fitting an RVC tachometer in place of an RVI, a new wire "X" will need running from the coil -ve termional to the Signal Input "S" on the tachometer. 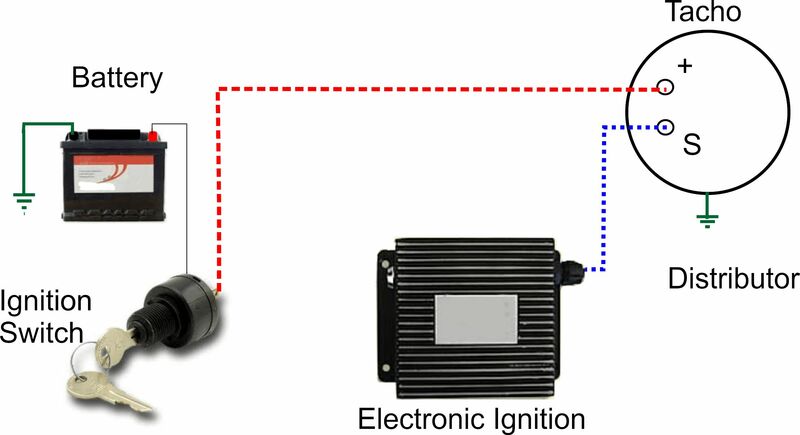 The simplest wiring is when an electronic ignition system provides a "Tacho Out" signal.